BREAKING: Is Pret A Manger About To Ditch Plastic Bottles? 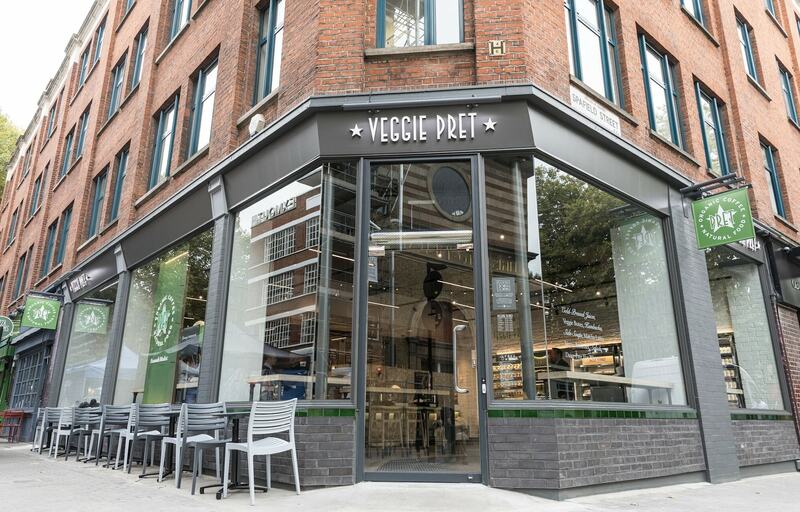 In recent times, sandwich chain Pret A Manger has been a leader when it comes to bringing more veg-based, sustainable food options to the high street. Now the food giant, which opens its third Veggie Pret store today in east London's Exmouth Market, is looking at going one step further - and possibly ditching plastic bottles. Writing on his popular blog today, Pret CEO Clive Schlee, wrote: "Plastic bottles are a problem. "We all feel it even before we hear the shocking statistics about millions of tonnes ending up in our oceans each year and imagine the devastating impact this has on marine wildlife. "We are making inroads on the problem of packaging waste by reducing where we can and making more of it recyclable. "This includes working to find a solution to the fiendish coffee cup problem. "We recognize we have lots to do." Schlee acknowledges the huge challenge plastic bottles present, and says there are two schools of thought within the company as to how to deal with it. He said: "The passionate environmentalists say stop selling them altogether, while the pragmatists say make it as easy as you can for customers to use fewer plastic bottles. "We are looking carefully at both options. I tend towards the pragmatist end myself." The chain has launched a trial in order to try and deal with plastic waste. Filtered water stations and reusable bottles will be available in Pret’s Veggie Stores from today, and Manchester shops from October 31 as part of a trial to see if they help to encourage customers to switch from single-use plastic water bottles. "These shops will also start selling two sizes of reusable glass bottles alongside our regular water bottles, so the choice is clear. 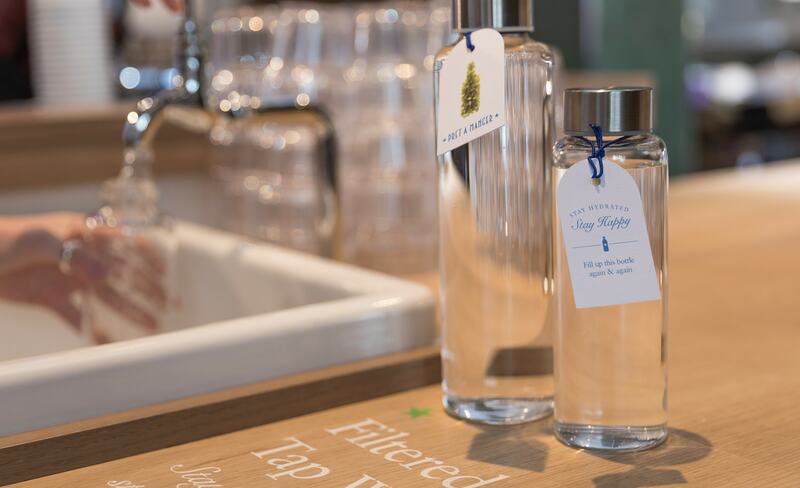 "The aim is to understand if customers will choose to refill a bottle rather than buying a new plastic one," says Schlee. 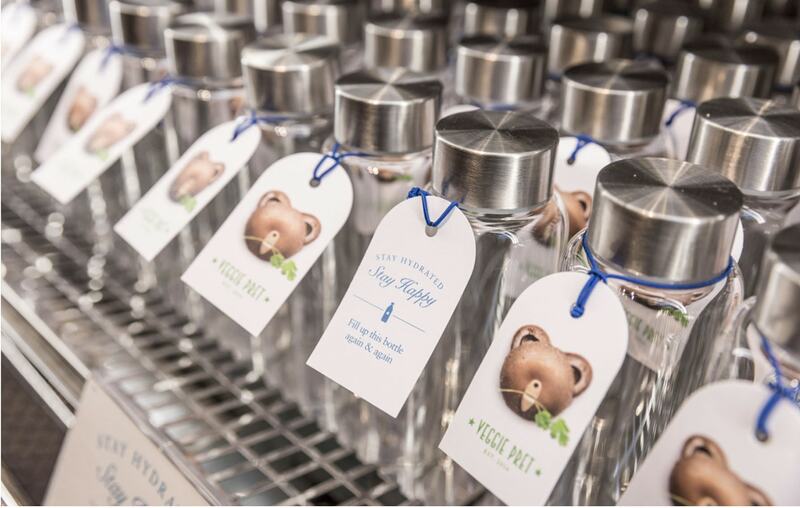 In addition to the reusable water bottles, Pret’s national 25p discount will be offered on any barista-prepared hot drink when a customer brings in their own reusable cup for it to be served in. As ever, the company is calling upon its customers to give their feedback. Schlee writes: "As always, I welcome your views on what we can do to make the most impact in this area."